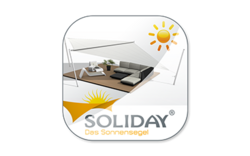 We want to make it easier for you to accurately integrate Soliday sunsail systems into your planning. hurdle while you are busy putting together precise plans! Please provide address details in full. Only complete information can be processed.